The legacy of ShipTek is to enter its 6th year and it continues to take its position as a benchmark for The Maritime world. This time ShipTek saga is going to present before you a much bigger and better experience with a combination of knowledge and entertainment. Starting off in the year 2008 ShipTek has been of of a kind event all of which were the sort of high stakes soirees that could leave their marks. ShipTek has been blessed with a continuum of leader’s foresights and hence will be yet another event that is going to be a revolution in the Maritime world. Your esteemed support has brought ShipTek this far and we believe that your continual support will be with us throughout. 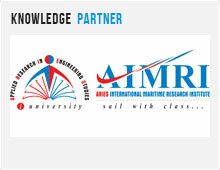 May 14-15 Dubai is going to witness the most transitional and transformative event of mariners. The forerunners of ShipTek were all billed as ideal events which orchestrated turnarounds in the marine world. History has proved time and again that genius inspires genius. ShipTek thus presents International Conference in which best minds in maritime industry will share their ideas on the current issues. This is an opportunity for mariners to be enthralled by the insightful lectures. Maritime expo will be nothing less to see, a height of panopticon. Visionary exhibitions on the maritime sector will impress cynics as well as neophytes. The 6th INTERNATIONAL MARITIME AWARDS are considered to be the most prestigious awards in maritime sector which is the mainstay of ShipTek 2013, an opportunity to walk up the steps of credence. Welcome freshers those who are new!! Welcome the seasoned!! Welcome back to this journey of exploration, revelation and awe. Welcome into the ideal haven of mariners, with versatility in ideas and vibrance in deliverance. This coming May Dubai it is.